I have decided to throw my hat into the ring for the Design Team at an AMAZING company - TIDDLY INKS! 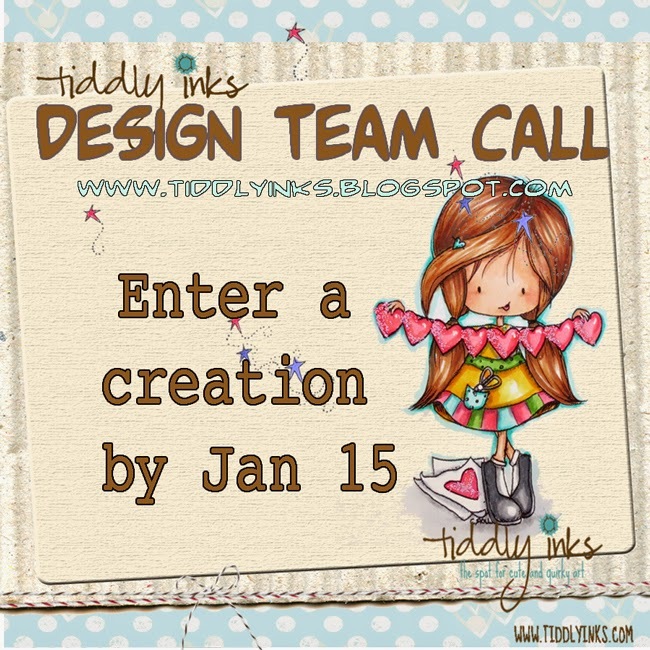 Tiddly Inks have the cutest digital and clear stamps, and I would love to have an opporutnity to join their design team. The DT call closes on 15 January. So for my card, I decided to pick the cute Wryn with a big ice cream - perfect for the weather we are having at the moment in Australia. Yes it is Summer down under and we have been getting 42 degrees celsius (that's 107 in farenheit!) This image is from the Sweets for my Sweet set. I stamped the greeting with my new favourite black ink (Black Licorice from My Favorite Things), and then I masked it out and stamped Wryn so it looks like she is just slightly behind the sentiment. I coloured Wryn in with Copic Markers. I had to make the ice cream strawberry (my favourite) and I let my son pick the other flavour, and of course he picked Bubblegum! Tried my best to get the multicolour bubblegum flavour ice cream look on that scoop! 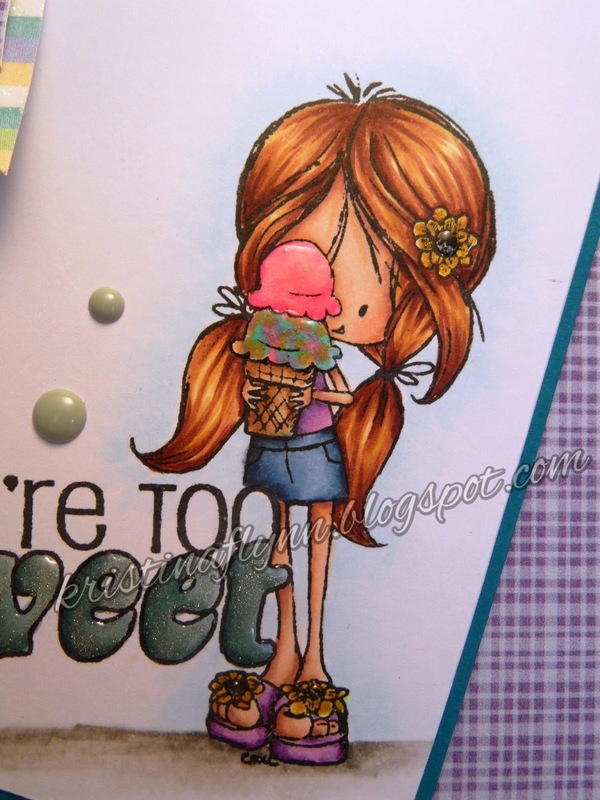 I added glossy accents to the ice cream, flower centers and the sentiment. Here is a closer look at the coloured image. 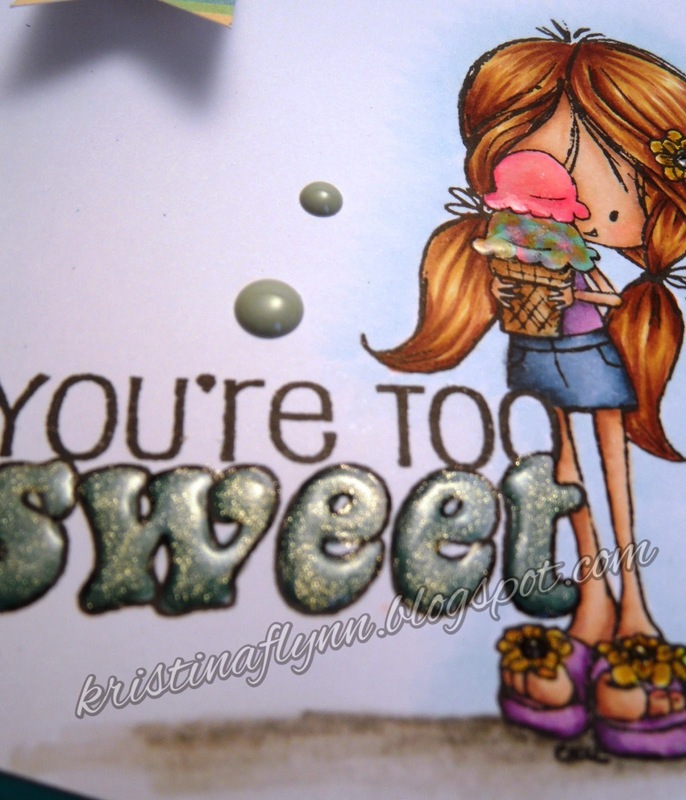 See the shine on the word "sweet" and the ice cream - love Glossy Accents!